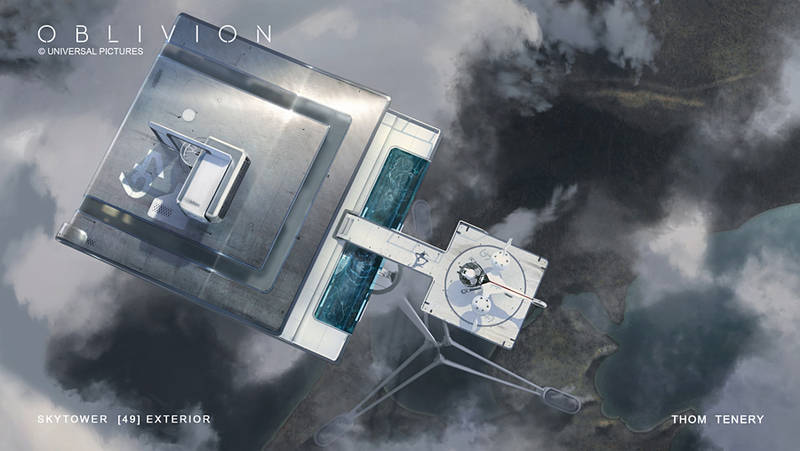 The OBLIVION Blu-Ray/DVD is out. The quality of the Blu Ray is phenomenal. 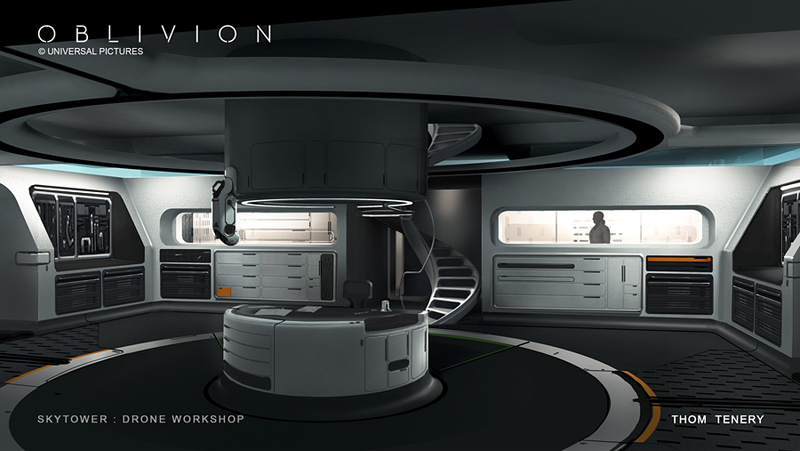 I had the opportunity to touch nearly every aspect of the film's visual design, but the bulk of my work for Oblivion involved developing the Sky Tower, including Jack's Workshop and the stripped down Mech variant of the Drone. 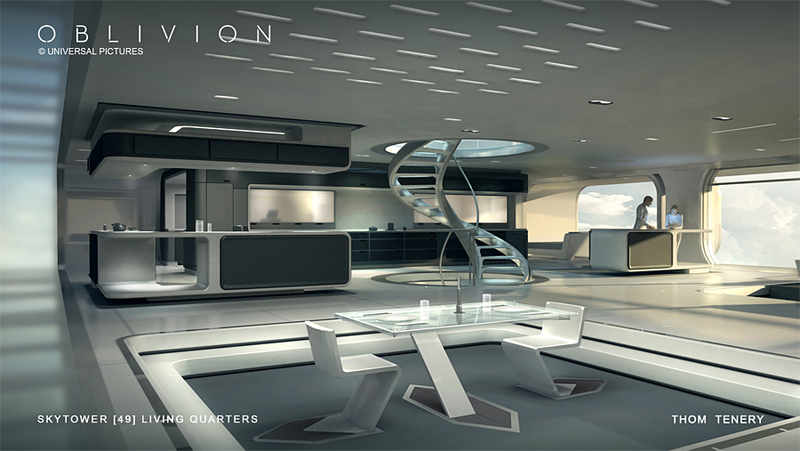 It was a designer's dream getting to develop this remarkable piece of architecture. Congratulations, your work on the film is wonderful. Completely agree on the quality of the blu ray. Gorgeous. This remains my favorite film of the year thus far and is steadily moving up the ranks of my favorite SF films period.